Ringers MrBeorn and Eol sent us in the following heads up about a couple of scenes in The Hobbit: The Desolation of Smaug, where you can see the company carrying Bombur through Mirkwood on a makeshift stretcher. I’m not sure if any of you have noticed before, but about 23 minutes into the DOS film, you can just barely see the Dwarves carrying Bombur through Mirkwood. 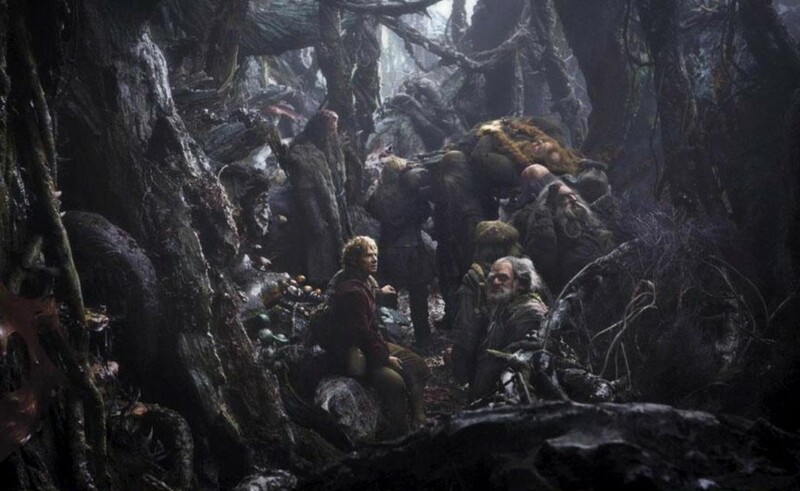 And then right after they find the tobacco pouch, you can see Dwalin and other Dwarves putting something down on the forest floor; most likely Bombur. my friend Eol and I noticed it when we were watching it recently. The pictures that I am sending you, you can just make out them carrying Bombur and the other is right when you see Dwalin and company setting him down. 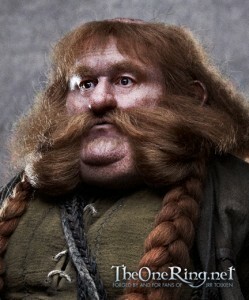 In this second image you can just make out the top of Bomburs head as the Dwarves head out of the scene on the left side. And in this next one you can see Bombur lying between Nori andDwalin on the right. Update: TORn Staffer Garfeimao remembered this image from our archives. Hopefully we’ll see it all when the EE’s come out.